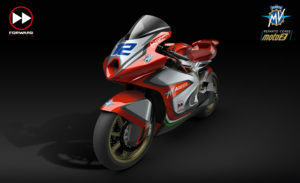 MV Agusta Returns To Grand Prix Racing! An astonishing forty-two years down the line since they last competed in Grand Prix racing, MV Agusta are making a return with the Forward Racing squad in the Moto2 series for 2019. We’ve expected as much for a while, but it’s nice to get official confirmation regardless! 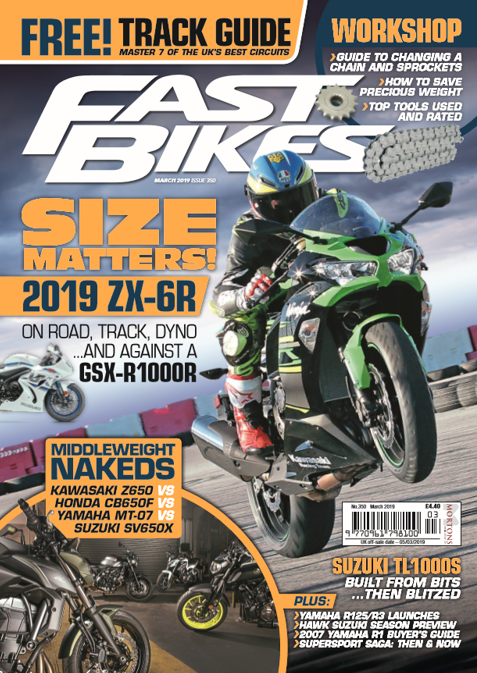 With Triumph next up to become the sole engine supplier to the series, with their 765cc inline-triple, and with MV also knowing a thing or ten about inline-triples themselves, this may seem like a no-brainer. Especially given that MVs are often the best handling production bikes in the world! Obviously MV big-wig, Giovanni Castiglioni, is pretty chuffed with this outcome, even if his exotic chassis will be fitted with a ‘rival’ manufacturer’s engine – the brand still stands to gain from the exposure regardless. 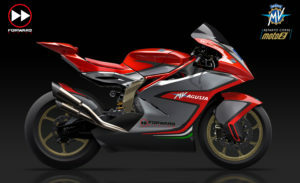 “MV Agusta is the most successful brand in history of motorcycling”, said GC, “The return of MV Agusta to the Grand Prixs is a great honor for me. The Moto2 World Championship is very competitive and in order to be successful we need to apply the best of our technology and experience in racing motorcycle development”. Meanwhile, “The dream of bringing MV Agusta back to the World Championship was born with Claudio Castiglioni, to whom I have always been linked by deep esteem and friendship, and the dream came true with his son Giovanni”, said Giovanni Cuzari, Forward Racing Team CEO, “I find it difficult to express with words what this means, to be actively part of a common project with both MV Agusta and CRC, the two Italian excellences that created the most beautiful motorcycles in history. I worked many years for this to happen, and now I feel proud to announce that MV Agusta will race in the Moto2 World Championship with Forward Racing Team. I am also aware of the great responsibility involved in having such a prestigious brand on the hulls of our motorbikes. Our team, along with MV Agusta and CRC, will strive to achieve, in the shortest possible time, what all the fans, and we first, expect and dream“. If they get the right riders onboard, they could easily be contenders for the Moto2 title, and with KTM already involved, this could also enthuse other manufacturers to swallow their pride, use a rival engine, but gain chassis development experience from it. Previous Post:Watch – Sportsbike Of The Year 2018 – Teaser Trailer 2! Next Post:Watch – Sportsbike Of The Year 2018 – Ducati Panigale V4 S – Dyno Run – Extra Hot!